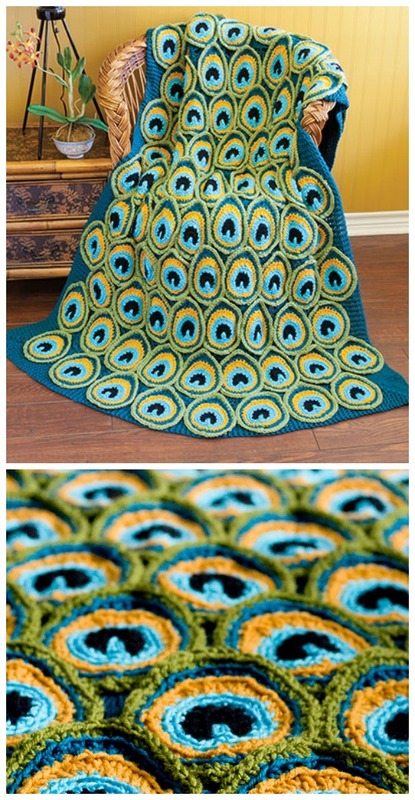 Look at this elegant and fantastic afghan that we have found for you today. 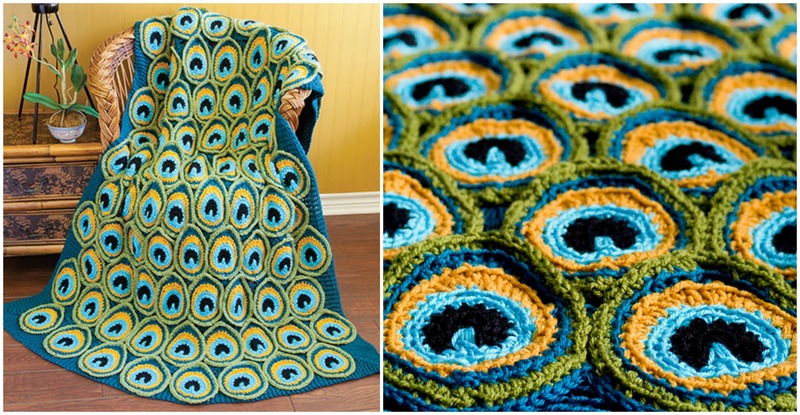 It’s pretty awesome and we have for you today free pattern for this beauty. It will make your home interior creative and elegant, so if you like this afghan you have chance to crochet it and make your appearance with you hands. It’s not tough work and you can also crochet it at the free time you have. With result we hope you will be happy. Peacock is one of the most prettiest creature of our mother nature. Thanks to authors for pictures and for free patterns.